Looking out from the hilltop, over the barns and pastures as the sun rises and the warm glow creeps across the sky, you’d think you were lost in another time. The heifers call, anticipating breakfast; the geese flying low overhead note their descent to the near-by river. It’s almost quiet, at 5:30 in the morning, and up here on the hill is one of the special places that Dean and Shelly Gleisner, think about when they wondered if they should conserve their land. “Sitting right next to Ft. Drum, our farm could become really valuable for commercial development as opposed to agricultural. But our family didn’t want it to be lost to development, we’ve been farming for generations and its part of who we are” reflected Dean. 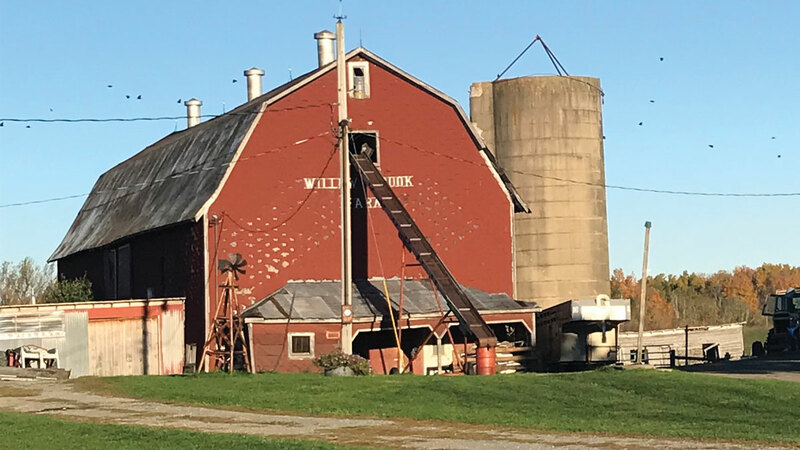 The 147-acre farm, located in the town of Philadelphia, is a mix of fields, pastures, and woodlands with a couple of streams meandering through. Pileated woodpeckers and great horned owls inhabit a portion of the woodlands, where their calls pierce the early spring mornings. “We lost about everything about 25 years ago in a barn fire,” reflected Dean, “it was an awful time in our lives, but our community came together for us and we pulled through. “We thought about leaving farming, but it’s the farm that has defined our family. It’s part of our bones, it’s really who we are,” explained Shelly. So Shelly and Dean, and their kids, pulled together and kept farming—this time focusing on beef cattle and dairy cow replacement heifers. And that’s exactly what the Gleisner family has done. Working in partnership with the Army Compatible Use Buffer program, and the Tug Hill Tomorrow Land Trust, they’ve conserved their land and in so doing, they’ve also helped ensure that Fort Drum won’t be surrounded by incompatible development that would hinder it’s military training. 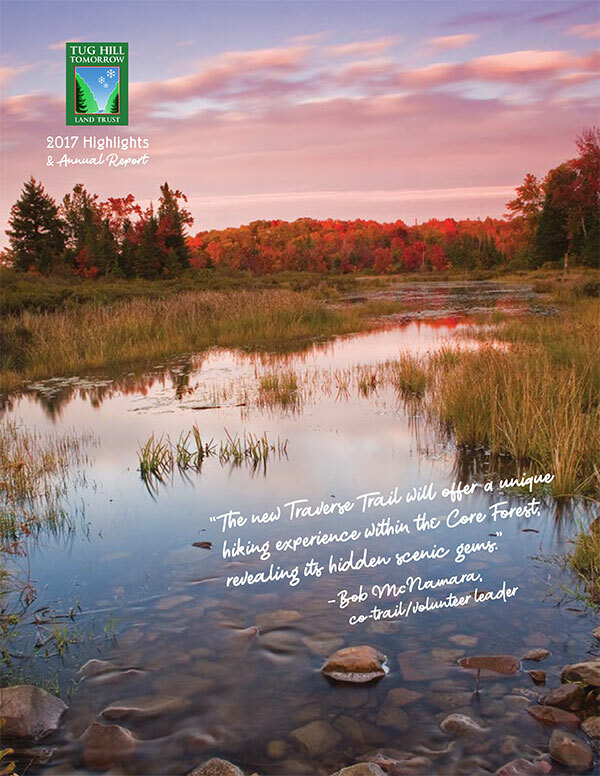 Tug Hill Tomorrow Land Trust works in partnership with Fort Drum, and Ducks Unlimited, through the Army Compatible Use Buffer (ACUB) program to conserve lands that are important for national security around the army base. 1. The U.S. Army initiated the ACUB program to address the growing concern of development, which can lead to encroachment around the perimeter of military installations. 2. All projects are voluntary. Farmers contact our land trust and we work with them and Fort Drum to clarify if their land will qualify for ACUB funding. 3. The landowner continues to own and manage the land and pay taxes subject to the conservation agreement (called a conservation easement). 4. The landowner receives a one-time payment for their non-farm development rights, as determined by a qualified appraisal.